Maps and globes have been very intriguing to me lately. 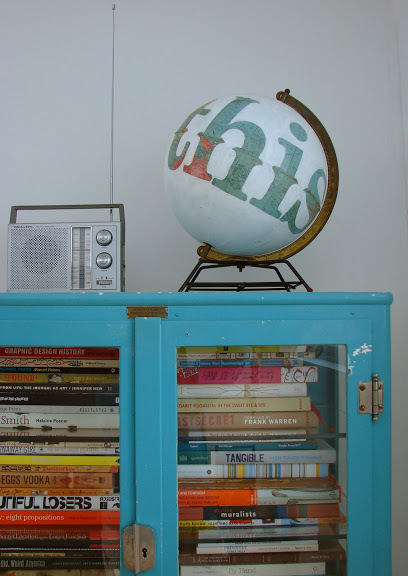 I’ve done a few map projects, and wanted to share one of my favorites – yep, a pink globe! I’ve seen several floating around Pinterest and Etsy, but I wanted to make my own. I found an old globe at a thrift store for $4, so I decided to give it a try. I spray painted the metal base and plastic stand with my favorite brushed nickel. I used my Cricut to create a mask of letters – spelling out “explore”. It was easy to feed black vinyl Contact paper through the Cricut. After adhering the letters, I painted the whole globe pink. Then, I added white accents with a natural sponge. I added “always” in my own handwriting. It’s not perfect, but I like it. You can find more on my Globe & Map Ideas board on Pinterest.